Blog posts at the end of the year focus on two things ... the upcoming Irish Blog Awards and reviews of the year gone by. And so it’s back to looking at the names babies have been registered with across the UK. You can still check out the full 2007 survey results. Unfortunately the Office for National Statistics (ONS) has no firm plans for releasing this information for 2008. In previous years data was produced using information from the NHS Central Register (NHSCR). Following the Independence of ONS in April 2008, the NHSCR moved from ONS to the Information Centre for Health and Social Care. NHSCR have decided not to continue to publish this output. ONS could use the births and deaths registration system to produce the most popular names (subject to agreement from the General Register Office (GRO)). However this source has not been used before. It would take time and resources to ensure that the output was produced to high statistical standards. So the Bounty baby counting stats have been used instead. They are most likely to cover the whole UK, but given the disproportionate size of England and Wales in comparison with Scotland and Northern Ireland, it’s likely to be still quite accurate. Irish baby name registrations for 2008 won’t be released until the summer of 2009, but I’ve made passing reference to the 2007 names. Katie remain’s the most popular girl’s name in Northern Ireland. Jessica jumped from 13 in 2007 to fourth this year. Ellie, Sarah and Erin have been edged out of the top ten this year. Sarah topped the Irish list in 2007. Ella appeared in third place in the 2007 Irish list but is only nineteenth in Northern Ireland. Sophie remained the most popular girls name in Scotland this year. Compared to 2007, there was a bit of reshuffling within the top ten, but overall, the name counts between second and tenth are all quite close together. Ava is up from fourteenth to seventh. 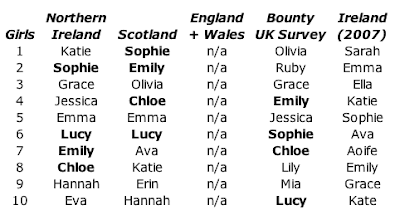 In England and Wales Olivia and Grace have swapped first and third places, with Olivia now the most popular name. Ruby remains second most popular, and names in fourth through to eighth place remain the same. Ella and America have been replaced with Mia and Lucy. Last year, Sophie was the only name common across the top ten for NI, Scotland, England and Wales. This year, there’s a lot more commonality, with Sophie, Lucy, Emily and Chloe appearing on all three lists. Jack remains the most popular boy’s name in Northern Ireland ... a record it’s held since 2003. Conor (12 → 7) and Charlie (13 → 10) are more popular than last year. Eoghan has risen from 99 up to 52. Expect a further rise in 2009! Sean came second in Ireland in 2007, but is completely outside the top ten at twentieth in Northern Ireland in 2008. In Scotland, Jack is back on top after it’s surprise second place last year beaten by Lewis which has dropped back down to number two. Daniel and Liam have risen above Ryan and James this year. In England and Wales, Jack remains up at the top. Thomas drops from second to sixth place, while Alfie jumps up from tenth to fourth. No new names in the English top ten. 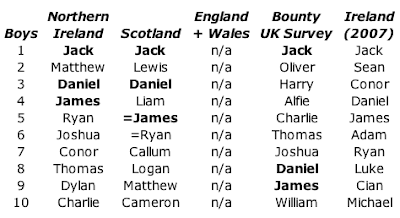 Across the UK, Jack, Daniel and James appear in all three top ten lists. They're also all in Ireland's 2007 list. Watch out for the extra second tonight! 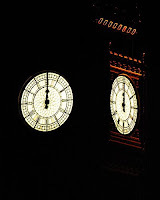 Watch out for the extra second that’ll sneak in just before midnight tonight! At 23:59:59, there will be an extra wait before 2009 begins. It’s all down to the rotation of the Earth which slows down over a long period due to the effect of the Sun-Moon attraction as well as vagaries like the Earth’s core/mantle, the atmosphere and the oceans. 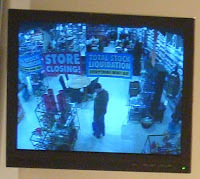 The good news is that since 1972, an additional 23 seconds have been sneaked in, the last being on 31 December 2005. More details if you need it! Update - And yet more over at the BBC. January is a cold, dark month. And if you’re in Ireland, it’s usually fairly damp too. So to warm your heart and cheer your soul, the Cathedral Quarter will be buzzing with the annual Out to Lunch Arts Festival running from 2-25 January. Most lunchtime events are only £5, and you get some hot lunch on arrival at The Black Box. Last year’s festival was excellent ... providing comedic and thoughtful lunchtimes. Book online – and book early – to make sure you don’t miss “the festival with just a little more bite”. It's between Christmas and the New Year. 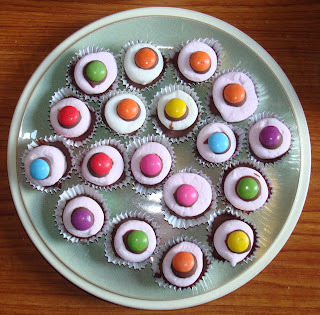 And it's the season when nominations open for the 2009 Irish Blog Awards. So if there's a blog or two from anywhere in Ireland that you read regularly, really enjoy, and think stand out beyond others, then go ahead and nominate them. Update - Nominations close at 6pm on 14 January. After a big lunch - clearing out some more leftovers from the fridge! 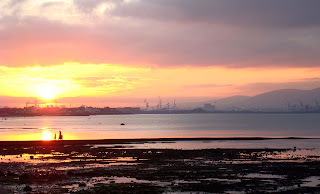 - we went for a walk along the front at Holywood. 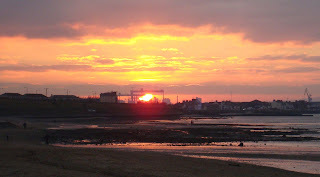 Returning towards the play park as the sun was setting behind one of the Harland and Wolff cranes. About five or more years ago, I remember mobile and PDA magazines running articles questioning whether it was better to have a PDA with a mobile function or a mobile that supported some PDA functions. Nowadays the convergence is nearly complete. Today, there's hardly a PDA on the market that doesn't have a phone built-in. And it'll not be long before the more recent arguments on whether cameras and MP3 players can be successfully integrated will have moved on too. But in living rooms and bedrooms across the country, there are an increasing number of boxes piled up on each other with a TV/monitor sitting on top. There's a need to reduce the clutter of boxes sitting under household TVs. DVD players no longer deserve an inch and a half of space. Why doesn't the Nintendo Wii double up as a DVD player? It can read DVD discs. It can be hacked to add mplayer software to play films. But why isn't it supplied as standard from the factory? Why does a product like an Apple TV not include a Blu-ray player? Then it could truly become a home media centre - providing access to media imported into or downloaded to iTunes as well as HD quality output and surround sound. And if on-demand content was available and well integrated - perhaps through something like iPlayer - and USB dongles providing access to Freeview (DTT) and Freesat (DSat) could complete the options. Yet my argument for convergence breaks down a little if we look at the 2008 phenomenon of netbooks. Screen resolution, keyboard size and DVD drives all ditched for weight and dimensions. Portability, battery life and wifi/3G accessibility more important. Though they do throw in a camera, mic and expandability via USB. A few days before Christmas, a friend dropped in with a card and a laptop case. 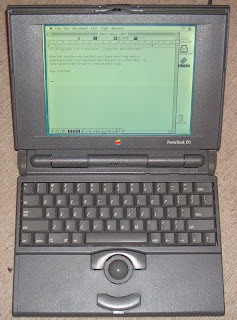 Inside was a prehistoric Mac laptop - a PowerBook 150. Sold between July 1994 and October 1995. Pre-dates USB. Pre-dates CD drives. 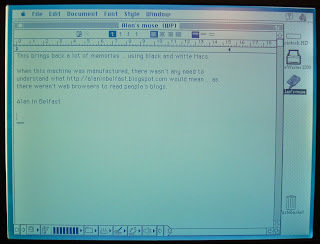 Pre-dates Apple abandoning AppleTalk networking and adopting standard Ethernet ports and protocols. Comes with a trackerball, black and white 640x400 display and a floppy drive! 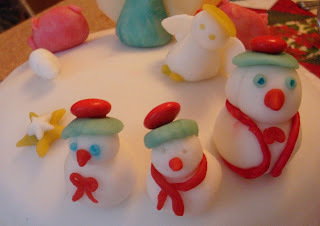 Snowmen, angels, three wise men along with boxes and boxes of presents. Quite wonderful ... quite tasty! 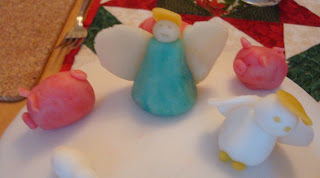 And all the handiwork of Cheryl! Just a quick reminder for next year. Check the name of the butcher shop at the top of the chit when you’re setting out to collect the turkey. Corries isn’t the butchers at the bottom of the Belmont Road ... it’s at Ballyhackamore. There’s always one event or church service over Christmas that stands out. Last year it was the BBC’s carol singing in its Ormeau Avenue’s reception – people getting together to sing about the season, unheard of in most work places. This year, the shining moment was the candlelight lessons and carols down in Westbourne Presbyterian. Candles lit on the window sills. Congregation singing carols, interspersed with traditional readings. Simple. Participative. in Ding Ding Merrily on High. A line from the last reading stood out. The light from the candles and the tree (and the odd light bulb left on!) did indeed shine out across the gloom and dim building. But go outside onto the street, and you’d be forgiven for thinking that the darkness was stretching out across the city. Jobs under threat or lost; household finances stretched; relationships tearing apart; violence and distrust still visible in communities ill at ease living alongside never mind integrated with each other. It brings me back to something I blogged about earlier in December over on The Mockingbird’s Leap (an advent group blog) under the title of Silent Night? 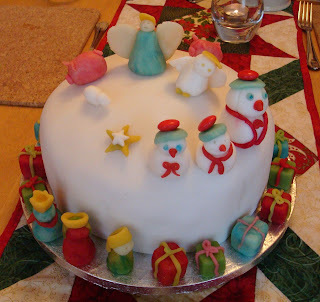 Often we sing carols as if accompanying an idyllic snowy picture on the front of a card. And even if there was snow in Bethlehem – and believe me, well believe Google, it does snow there too – it would have been anything but idyllic. The Holy Infant so tender and mild was born into a nation under occupation. Born into turmoil. But it ... reminded me of the Simon & Garfunkel version of Silent Night set against the Seven O’clock News bulletin. As I wait for Christmas, I remember that the Son of God, love’s pure light, was born into a world or pain and tumult, a world that echoes our own. As I wait, I rejoice that God can do noisy, scary, fearful nights as well as silent ones. There is hope. Jobs may go. Money may be tight. But relationships can heal and be reborn. Trust can be earned and built up. For those gathered on Sunday night, it was a declaration that the darkness had not overcome our lives or our city. Long time readers of AiB will realise that over the year’s I’ve enjoyed various Flashmob enterprises ... from one that was staged in Paddington Station many years ago, to the Manchester Passion (Good Friday 2006) and last Christmas’ Liverpool Nativity that told the familiar story using modern characters in very a familiar city setting. Tim Norwood is an Anglican minister in Milton Keynes ... not sure if that makes him chaplain to the massive Amazon depot down the road! Mike Geaney did an incredible job brining it all together. Paul Randall revealed some more of his technical genius. The cast were on good form, the homeless choir looked appropriately ragged but sang like angels, and the soup was just the ticket! Highlights included: Joseph's dream sequence - projected on a screen above his head as he slept - Mary's song - from the steps of the church - the homeless choir outside the homeless shelter (the vestry) - the birth cry of the baby (from the shed) - the video link to Herod's Palace - and the star on top of the vestry roof! A huge effort – but hopefully hugely meaningful for those involved and those watching. Some online hunting to be done to find if there’s any video footage from their creativity. The economic downturn is all around. Last night at the carol service I heard about a couple neither of whom will have a job in the new year. The husband has lost his car sales job, while the wife is finishing up a 20+ year career in Woolworths. On a different level, leaving work tonight I heard of another couple, one of who is working Christmas Day and off Boxing day, while his wife is off Christmas Day and working Boxing Day. 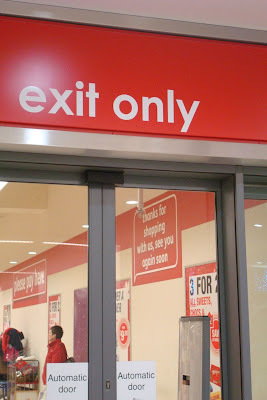 Belfast’s most opulent shopping centre, Victoria Square, has already seen one outlet close. Men’s store Hardy Amies closed its five stores across the UK. Now a second unit will be shutting its doors for the last time. 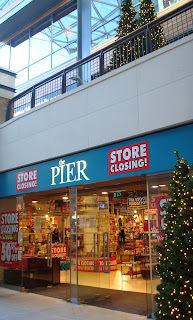 The Pier has gone into administration. It’ll not take a crystal ball to predict that there will be other units boarded up in 2009. 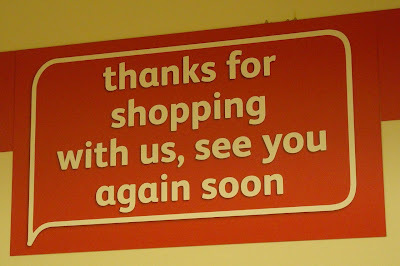 It’s going to be a year when we watch the retail sector shrinking rather than growing. 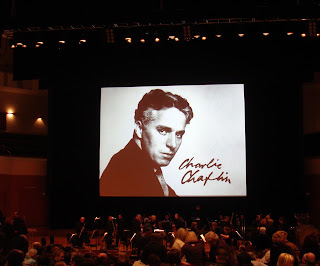 Earlier in the week, I won a pair of tickets through the Ulster Orchestra’s email newsletter to tonight’s Charlie Chaplin Films which was being accompanied by the Ulster Orchestra in the Waterfront. After a lovely meal in Duo – where we met someone from the orchestra! – we joined the queue of freebie cheapskates to pick up the tickets from the box office and settled into Block B Row 5 to enjoy the evening’s entertainment. Projected from the back of the Waterfront onto a huge screen, the Ulster Orchestra sat like tiny ants underneath playing in exact synchrony with the on-screen activity. The films were never actually “silent” and were always accompanied by an orchestra, Composer Carl Davis write the scores performed tonight, but due to illness was unable to conduct. So the baton was in the capable hands of Helmut Imig. The Fireman is a slapstick comedy. Misinterpretation, falling into buckets, gunge over head. Overlapping with Saturday morning kids TV in everything but colour! In The Immigrant, Chaplain is playing a familiar role, that of a tramp. An immigrant on a transatlantic voyage , Chaplain is wrongly accused of being a pickpocket. As the ship sways, plates slides across the table. The first ten minutes or so would make you dizzy. 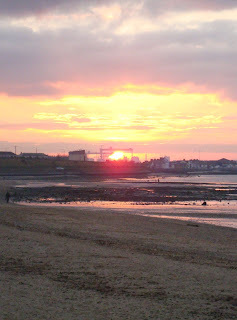 Having reached dry land, the action switches to a restaurant where Chaplain is reunited with a woman from the voyage. Cue the drama of using someone else’s tip to pay for his own meal! After the interval, the final short film was The Adventurer. The physicality of acting these films – chasing up and down sand dunes – must have been exhausting. Chaplain plays an escaped prisoner, who saves a young woman from drowning. Taken back to her house (pretending to be a Commodore rather than a convict) he is recognised and it turns into a farcical pantomime. Cold ice cream down the back of a woman’s dress (and the attempted recovery thereof). A fantastically imaginative scene catching pursuers’ heads in-between sliding doors. With the concentration required to keep track of the fast-paced action, the music often faded away and became secondary. In that way, it was remarkably successful, with the orchestra not demanding attention, but skilfully keeping time with the action, augmenting the visual effects. Quite unlike some modern films, whose pace and tension is often driven more by the soundtrack and effects than the on-screen acting. It as a very informal performance. The lights dimmed a little, but the audience wasn’t left in darkness. There was a running commentary from the row behind, and lots of loud guffawing – sometimes quite delayed from the on-screen action. A lovely evening’s entertainment, and a trip back 90 years in time to the age of the silver screen. Hopefully the kind of accessible and fun performance that the Ulster Orchestra won’t forget or forgo when they return to the Grand Dame of Bedford Street – the Ulster Hall – when it reopens in March 2009 and becomes the Ulster Orchestra’s permanent home. East Belfast (Belmont-ish) Bloggers' Meetup? The best bits of blogging don’t happen sitting behind a screen. They tend to happen away from the virtual suburbs and out in the real world. Encounters with real people, with real lives, real stories, in real life situations. It’s at events like Flickr meetups, Add to Set, Creative Camp or the Slugger Awards where actual faces were put to on-screen personalities. I’m aware of at least four or five bloggers living in and around Belmont in East Belfast, within a couple of streets of me, and there could be more. Seem’s like East Belfast is pretty dense! And there are others living not too much further away. Maybe it’s time to get the community together! After all, if we invite the neighbours around over Christmas to sit and have a cup of coffee together, why not the blogosphere? So in the spirit of getting out from behind our screens and having lunch together, I’m proposing we meet-up between Christmas and the New Year. An experiment in East Belfast community over lunch, somewhere down the Belmont Road, on Monday 29 or Tuesday 30 December at around noon. Partners, bumps and children welcome. Don’t be shy! Email me alaninbelfast AT gmail DOT com if you’re interested - mention which of the two days would suit - and we’ll arrange it offline. Probably best to set a maximum number (8-10) to keep it manageable. I know a couple of you have already put up your hands! 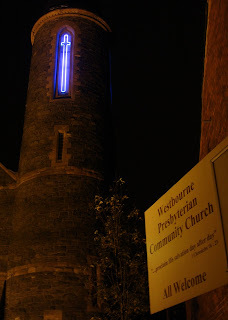 If you’re in East Belfast and at a loose end on Sunday night, why not come to Westbourne Presbyterian’s Candlelight Service at 7pm. Westbourne’s the church with the pink fluorescent cross on its tower, opposite Pitt Park at the bottom og teh Newtownards Road. Everyone welcome. Disclaimer: other denominations and other carol services will be taking place on Sunday evening! And if you’re feeling like staying housebound, this month’s Ikon has no venue, so it’ll be virtual transformance art on Sunday night. 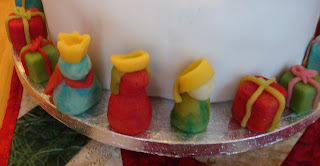 Join in the event by going to their temporary blog at ikonadvent.blogspot.com from 8pm. Take a microphone outside in Belfast, and at nearly any time of year, a gust of wind will threaten to wreck the sound you're trying to record. So windshields are common place - either the big furry ones over shotgun mics, or the smaller foam ones over handheld mics. 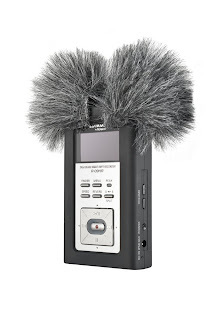 But what about intrepid citizen journalists and podcasters with their handheld Edirol recorders? Rycote has a range of Mini Windjammer windshields that fit a variety of digital recorders, including Edirol R09, Marantz PMD620, Nagra Ares M, Zoom H4, Olympus LS10/20/30, Sony PCM D50, Tascam DR1 and Zoom H2. It’s been a couple of weeks since the Cameron Direct roadshow came to Belfast and set up its tent in the Stormont Hotel to allow members of the public hear and challenge the Conservative leader, before The Thing With No Name was cheered on at the Ulster Unionist Party conference across town. For those with questions unable to be asked on the morning, there was an opportunity to scribble them on a postcard (not a lot of room) or to email them in (less constrained). He got off very lightly at Stormont when it came to Northern Ireland issues. A brief mention of health and that was about it! You point out that very few “Northern Ireland issues” were raised at the Cameron Direct meeting. This totally vindicates our view that the constitutional issue which so dominated and polarised Northern Ireland politics for decades has now been settled, subject to the consent principle. The vast majority of people in Northern Ireland outside the political bubble are worried and want answers on taxation, the economy, fuel duty, current economic crisis, pensions, social issues and business regulations. All of these are within the competence of Westminster politicians and they were the sort of issues raised at the Cameron Direct meeting. Anyway, my potential questions ran as follows. Any answers gratefully received! 1. You talk a lot about Northern Ireland returning to normal politics. Do you agree that this week's decision to extend the decommissioning deadline by a year does nothing to normalise politics, and instead rewards the procrastinating loyalist paramilitaries, giving them an extra 12 months to hide behind their façade and the less-than-lawful activities that continue on the edges of their organisations? 1. There is no place in today’s Northern Ireland for any organisation to hold on to illegal weapons. The government has proposed a final extension of the decommissioning amnesty and will use their majority to get this through the Statutory Instrument debate. Our frontbench team are absolutely clear that all illegal weapons should be handed in as soon as possible but we will finalise our line on the Statutory Instrument debate once we have seen the full details of the Government’s proposals. 2. Will the Conservative's partnership with one local party not be more likely to destabilise the fragile political relationships within the NI Executive and Stormont Assembly than promote "normal politics"? If you win the next General Election, how will you prevent accusations that the other parties will make that the Ulster Unionists are using and abusing their inside knowledge of the government for their own political gain? 2. The Conservative Party in government will never side with one part of the community over another. We will govern in the best interests of all the people. The constitutional position of Northern Ireland has been settled by a clear majority of voters in referenda on both sides of the border. Frankly, it is a cop-out to suggest that Northern Ireland is permanently divided and the Government's role in perpetuity is to simply hold the ring as an "honest broker". It is an unacceptably pessimistic prescription. We have a more positive vision and are determined to play our part in developing a more normal society and real politics in Northern Ireland. 3. We have consistently said that where local people wish to continue with academic selection, we will respect their wishes. Both the UUP and the Conservatives in Northern Ireland support academic selection. We respect that education is a devolved matter. It is for local politicians to deal with falling school rolls. 4. If you're in power and the Northern Ireland Assembly suffers its next wobble, will you put your hand in your pocket as quickly as the current Labour government when the main parties rush to Downing Street to ask for cash to satisfy their latest whims and a bribe to go back to work at Stormont? 4. In 2006/7 public expenditure was £18.7 billion of which £11.5 billion was raised locally in taxes, leaving a gap of £7.2 billion, to be provided by the Treasury. The Public sector represents about two thirds of GDP and 29% of the workforce are public sector employees. It will be a priority for a Conservative government to bring in imaginative measures to boost the private sector in Northern Ireland. Given the dire state of the public finances that we are likely to inherit from the Labour government, everyone will understand that we are in no position to make any spending commitments. Will be interesting to see if Slugger O’Toole got their answers this morning too. Update - They already had, but I hadn't noticed! When it comes to Christmas decorations and bling, there’s over the top, and then there’s deliberate madness that verges on the artistic. Greg Howe’s son was disappointed with his father’s decorations last year. So Greg decided to do things on a bigger scale this year. Despite it’s titanic dimensions - stretching over two floors and up onto the roof - the tree’s actually quite tasteful. Embedding the BBC's original iPlayer video window in this post is proving too difficult! So click on the image above to view. Joke blatantly stolen from Mervyn. The loneliness of an X-factor winner - or - Hallelujah! X-factor is over? I wasn’t too sure which post title to use! The early rounds of X-Factor bore me. The ritual humiliation of people who should be able to assess their own singing talent better is a sad spectacle. The whooping and crying gets tedious as the venue and accents change, but all the rest stays the same. Even the live show gets to me. In the first few weeks of the live show, time is tight in the running order, and contenders only get to sing for a couple of minutes. The comments from the judges take longer than the songs. So I’ve tended to ignore the main show and just fast forward through the live show, stopping to hear the snippets of the songs, and listen to the sing-offs. Even on Saturday, bedtime stories took priority over the final. But watching the results show from half nine on Saturday, there was a moment that caught my attention near the end. Surrounded by the presenter Dermot, camera, judges, other contestants. Alexandra Burke was an emotional wreck, in shock, unable to control her breathing to converse. And then seconds later, everyone walked away, leaving her standing alone in the centre of the huge stage, expected to perform the emotionally-charged Hallelujah song. There was wide shot, showing a miniture Alexandra standing in a sea of flat stage and lighting. Shock, euphoria, and then complete and utter loneliness. What must go through the winner’s mid as they stand solitary waiting for the backing music to start and hoping that the adrenaline will kick in? How long do those moments feel? How awful is that part of the winning experience? A final thought or two about the lad from Dungiven. As a sixteen year old, he’s represented himself, his family and Northern Ireland well. But is there any chance that the media can now leave him alone? I don’t want to know if he’s love struck, if he’s kissed Diana, or if he’s forlorn and rejected. He’s sixteen. She’s seventeen. I know he’s put himself out there in the media, but that doesn’t mean that they have to invasively report his every sixteen-year-old breath. For anyone feeling hard done by that the boy from Dungiven lost out by coming third on Saturday night, Lisa over at local Unreality TV blog brings the news that Eoghan Quigg topped the phone poll on six out of the ten live shows. And I wish we could see his rehearsal performance of Leonard Cohen’s Hallelujah! to hear and see what kind of arrangement they’d dreamt up for him. Given that his voice isn’t as strong as someone like Alexandra, it might have been a lot less power-ballad and closer to the original? A birthday party wouldn't be complete without top hats. After a year of anticipation, Littl'un turns four on Monday, and this morning she partied with a couple of friends from nursery. Despite an email from someone who “would most definitely be able to offer [me] monetary compensation”, you’ll not be seeing a “little line of text for one year” on AiB linking to “a marketing campaign for a client that owns hotels in Spain” that “are above the fold in both personal and business travel”. Current policy remains no Google Ads and no paid for adverts as I’m not trying to make money from blogging. Of course, all freebies gratefully accepted, and highly likely to get honestly reviewed - good or bad! I mentioned in Saturday’s post about yer man who was across to show his support for The Thing With No Name that we’d been along to St Anne’s Cathedral for a spot of bell ringing. “As part of the Global Day of Action on Climate Change, activists will gather on the steps of St Anne’s Cathedral, Belfast on Saturday, December 6 to call on world leaders gathering in Poznan, Poland to make bold decisions on cutting global carbon emissions. 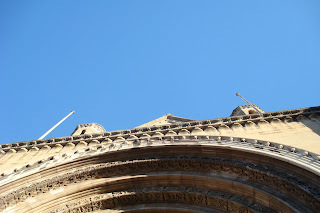 We turned up at the steps of Stan’s Cathedral at about half eleven, in time to hear some short speeches before the bell ringing at noon. There was talk (think it was John Woods from Friends of the Earth) about “moving away from a focus on conspicuous consumption, to a way of life that is more important and more fun than just buying stuff”. MEP Bairbre de Brún was heading out to the Climate Change Conference talks this week and was keen that the EU would keep to its existing commitments and not perform a U-turn. Keen that EU countries were held to reducing carbon emissions in their own countries and not just exporting the reductions to other states. And saw tackling climate change as part of economic recovery. She spoke well. And unusually - for a Sinn Fein politician – with no Irish phrases bookmarking the beginning and end of her speech. 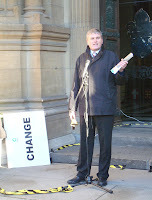 Jim Wells, DUP MLA and self described “patron saint of lost causes” was next up to the mic. He highlighted the “risk of making the poorest countries even poorer” and mentioned the proposed introduction of a bill at the NI Assembly to make Stormont carbon neutral. While humorous and engaging, his prediction of remaining an “obscure back bencher for some time” may remain true, though his concern for the environment felt more credible than that of part colleague Sammy Wilson. Finally, Tearfund’s Tim Magowan wrapped up the talking as be described “the potential to devastate the lives of millions of people in the future”, creating “environmental refugees” through our actions and inactions. 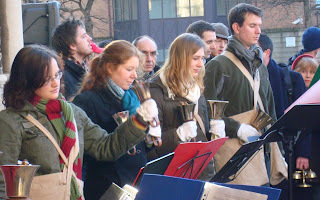 There was carol singing, accompanied by the bell ringers from the Camphill Community. 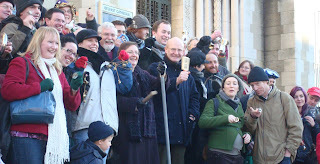 And then at noon, the hundred or so people present gathered on the steps in front of the cathedral to ring out their bells … before heading up the street to the John Hewitt pub! About a fortnight ago I went across to see Hunger in the Yorkgate Cityside Moviehouse. And on the way out, I called in the Big W. For old times’ sake! After all, the doors could be closing for the last time soon. The atmosphere inside the store was funereal, with part of the store’s enormous floor space already cordoned off, and staff joylessly stacking the shelves. It was as if an enormous ball of tumbleweed would soon blow in through the sliding doors and up the aisle. Woolworths moved out of the Belfast City Centre about four years ago. And it was missed. Where else could you get a cheap tool, buy a cheap bulb, find a cheap tea pot, and rot your teeth on a budget. Now you need to go to four different shops to do all those things. 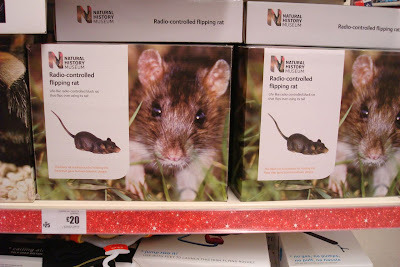 Where else could you find a remote-controlled flipping rat? ... with the Administrator Deloitte signalling this evening that it would be holding store closure sales in all 815 UK stores from tomorrow (Thursday) and that “it is possible that some stores may close before the end of December” if deals with prospective buyers cannot be achieved. 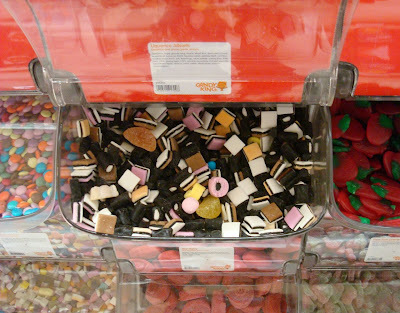 Update - Some other local bloggers have been posting on Woolworths' demise. Lord Belmont has been wondering about the vultures that are circling, while Russell doesn't blame Woolworths' collapse on the recession and states that "the face of retail is changing and only time will tell if it is for the better". Browsing the responses to phase 2 of Ofcom’s Second Public Service Broadcasting Review, I clicked through to read the contribution from POBAL - a local umbrella organisation for the Irish language community. A surreal joke from POBAL? A mistake by Ofcom? Or a hidden code that we need to get Dan Brown to decipher and interpret? 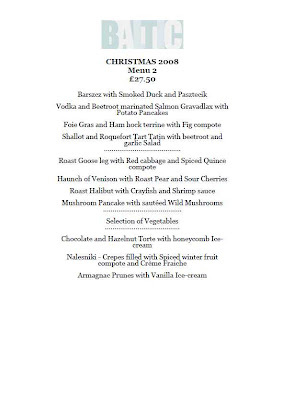 Or the restaurant which will be hosting the PSB team's Christmas dinner? Though in the interests of spending taxpayers money wisely, and not frustrating the nice people at Ofcom, I want to make clear that I'm not suggesting that anyone tries out an overly creative response to any of their future consultations! Orange have lost their goldfish. At least, they’ve eschewed the orange-coloured swimmers in their newest branch in Belfast’s Cornmarket Arthur Square. ... did you realise that there are always a precise number of fish in the tank, one of them is always a different colour than the others, and there are spares out the back in a second tank in the store room! Orange subscribe to feng shui. At a corporate level. Their shops and buildings are all audited by feng shui consultants (any volunteers for that job?!) to ensure they’re suitable for staff to work in. So lots of fish, plants (but not too many sharp-leaved ferns), energising coloured walls and no stairwells in energy-zapping locations. 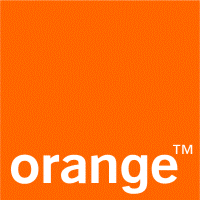 It might sounds like corporate bunkum, but when France Telecom took over Orange, they looked at the feng shui policy, and decided that it was doing to harm and let it remain in place. And a very different type of "orange" from these previous posts! It’s been a full day. A quick trip up to the Stormont Hotel to hear how David Cameron would answer the audience’s questions before hearing down to Belfast Cathedral for a spot of bell ringing. Then over to St George’s Market, lunch in Victoria Square and home to get the lights on the Christmas Tree. 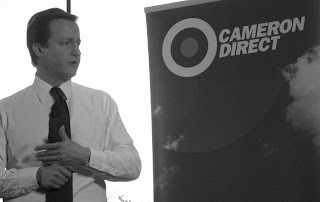 But the day started with Cameron Direct. The party leader’s road show that calls in at venues around the country to allow David Cameron to respond to real people’s concerns unmediated by spin doctors and media advisors. Except the audience isn’t average. It might have been a very different experience if Team Cameron had stopped off at Connswater Shopping Centre and perched their leader on top of John Major’s soap box. Cameron was across in Northern Ireland today for a spot of hotel hopping: a business breakfast at the Culloden, Cameron Direct at the Stormont, and then across to address the Ulster Unionist Party Conference at the Ramada and talk about what it would mean for the UUP to form an alliance – marriage of convenience, some might say – with the Conservative Party. What a way to celebrate his third anniversary of being elected party leader. It was about two years ago that I shared a taxi back from the airport with a NI Conservative who lives a street or two away. He was returning from the Tory Party conference, and was very enthusiastic about David Cameron. So I was curious to see today what Cameron would be like. What he’d say. And what would be the local reaction to his style and his message. 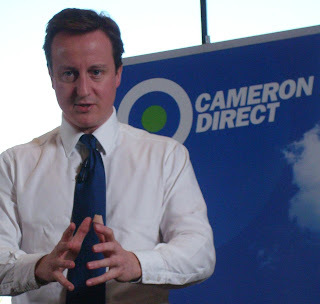 Firstly, Cameron is surprising tall – most serious leaders are an inch or two above average – doesn’t wear a wedding ring, has a fresh bandage on his left thumb and has a nice technique of ever-so-slightly mocking himself or telling self-deprecating jokes. In his opening remarks, he talked about “launching a new force in Northern Irish politics” to get away from traditional unionist versus nationalist and move to a politics that would be about education and “mending broken parts of society”. Looking back, it felt like he had three things in the back of his mind this morning. Don’t talk too specifically about NI issues in case you are caught out. Call it The New Force and don’t draw attention to the lack of a name. So there was no mention of Paisley, Robinson or the DUP. No mention of Sinn Fein. No talk about the practicalities – or impracticalities – of the next UK government being potentially closer to the UUP than any other party in the NI Executive. Though not entirely Cameron’s fault ... the issues didn’t come up in the questions. The event was attended by a hundred or so people. Very well stage managed. We were all ushered into the room ten minutes before it started. Camera-friendly lights flooded the stage. Audio feeds to the TV crews at the back of the room. Mics handed around for questions to be asked, and then immediately removed – deliberately or not? – making it question and answer, set the topic and then listen to two minutes on the topic, rather than a conversation. All the branding was Conservative. The introduction and welcome came from Jeffrey Peel, the vice chair and public face of Conservatives NI, and there were no recognisable UUP elected representatives in the room. Very strong on Britishness, the strength of the Union and representation or the entire UK. Later on he came back to a similar theme theme. Presumably that includes the UUP? He went on to talk about success being about getting new people involved, and The New Force needing new candidates, needing the best people on the ballot paper. Sounded a bit like he was suggesting that the UUP didn’t currently have the strongest possible candidates? At one point he praised George Osborne and called him “the next Chancellor of the Exchequer”. While talking about environmental issues, he made a strange comment about introducing decentralised energy which would allow people who generate power (through windmills etc) to sell their excess back to the grid, which sounds very like what NIE already support. Asked about advice he might give the US Republican Party, he noted their fascination with “guns and God” and pointed out that when suffering a loss after a long period in power, the wrong temptation was to go back and bolster your core vote. Elections are won in the centre ground. Those are the people you’ve got to reach. There were a lot of questions about the current economic situation. Too many to pay attention to all the answers! But it seemed to come down to the Conservative Party making things easier for enterprises, society and general living. Asked who he would have in his cabinet if he had to take someone from another political party, he didn’t immediately grab Sylvia Hermon or any other local politicians. Instead he opted for the nearly-more-Conservative-than-Labour Frank Field or Lord Adonis (who was unfortunately recently reshuffled out of Education – where he had been so strong – to take the Transport brief). 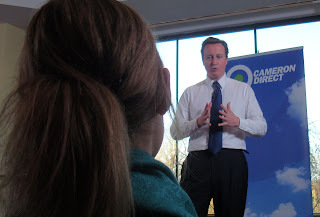 Cameron slickly wrapped up the last question with his closing remark. You could see him trying desperately to remember Eoghan Quigg’s name, but it didn’t come. So instead it was just “a talented young Northern Ireland man” on the television who was to be a vision of other NI talent that should be working for the greater good and being represented in Cameron’s cabinet. And then he bounded off the stage and didn’t hang around to talk afterwards. 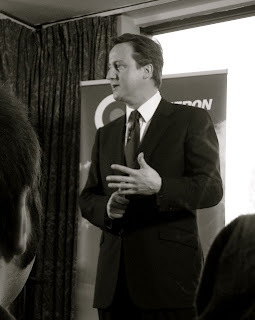 AiB normally stays away from posting about politics, but my impressions from Cameron’s performance this morning were that for all the laudable talk about “normal politics” and “The New Force” that would allow politicians and voters to move away from tribal divides, there are some uncertain and unexplored downsides. Will it not be very difficult for the Conservatives to link with the UUP and manage to appeal to a wider constituency in Northern Ireland, particularly while the other parties remain tribal. If the Conservatives and UUP were successful – perhaps if the DUP suffered some kind of colossal embarrassment and lost the confidence of their normal electorate – and the UUP ended up “in power” with Sinn Fein in the NI Executive, wouldn’t that form a really unstable and unhealthy assembly, with one of the two leading parties having a such a close link to the UK government? And expect some changes in the UUP line-up at the next election. Expect Sylvia Hermon to either turn around and voluntarily accept the Conservative whip before the next election, or watch as she completes her eight year stint and allows North Down yet another Member of Parliament. Update Monday - the official webcast of Saturday morning's session is now online and also embedded below.